World population is expected to swell to 9 billion over the next 40 years. Global food production will need to increase by 70 percent in order to prevent massive famine. Changes in climate, intensification of floods and droughts, depletion of resources. Increasing industrialization & mechanization (feedlots, automatic irrigation, machinery). Greater demands on fossil fuel, water and topsoil resources. Draining the soil of nutritional value. Planting the same solitary crop on one plot of farmland, removing nutrients from soil. The United Nations estimates that one-third of the world's food goes to waste, either during agricultural production, post-harvest handling and storage, processing, distribution, or consumption. The last 50 years have brought a major cultural shift that has removed consumers further and further away from their food sources. While consumer habit has a profound effect on food, government policy bears just as heavily on the industry. Agriculture is a multi-billion dollar industry with powerful lobbyists. 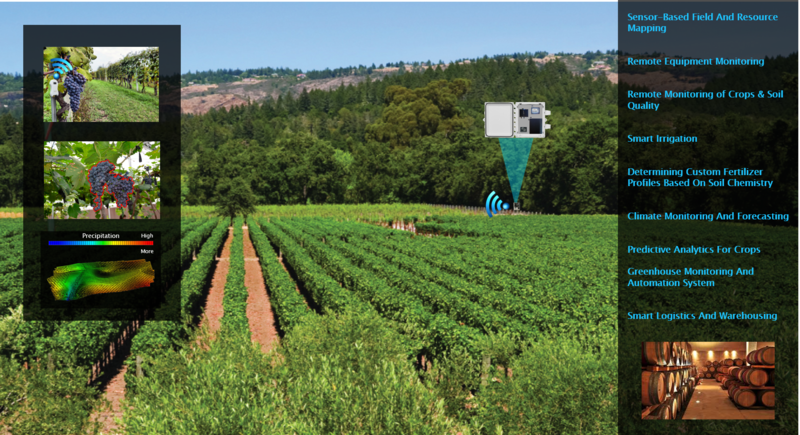 Depending on the type of farming involved, special sensors collect data regarding soil and crop behavior, weather conditions and forecast, animal conduct, machine status, storage tank, and outbuilding status emanating from remote sites. Whilst experienced farmers have the knowledge to make the judgements by just walking around their farms, in larger farms this is simply not practicable. A remote "eye in the field" or "eye in the barn" makes remote monitoring possible in real time; farmers can detect signs of disease in crops and animals much more than they would otherwise. Sensors can be deployed across farm and farming machineries in order to enable farmers to gain an abundance of insightful data, such as the temperature of stored produce, the amount of fertilizer used, the amount of water in the soil, the number of seeds planted, storage conditions, the status of farming equipment and machinery in use, and to track the movement and behavior of livestock remotely via embedded devices. 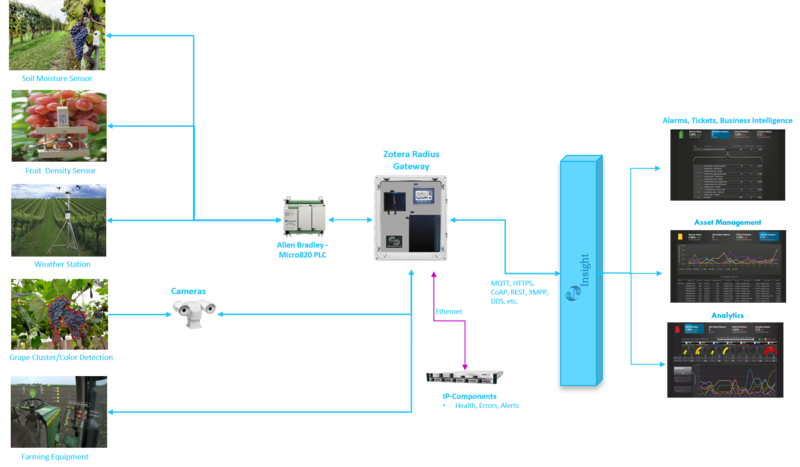 Industrial IoT applications are also useful for monitoring indoor agricultural facilities such as silos, dairies and stables. The Industrial Internet of Things can bring broad efficiencies to the agricultural space, and create a virtuous cycle that makes food products more readily available to consumers, saves farmers time and money, and lessens the environmental impact of farming by driving sustainability into the process.